Welcome to the Big Blues Parties on the South Coast! 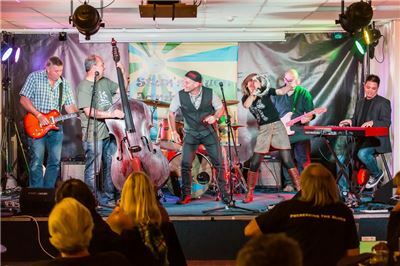 “The Swanage Blues Festival brings together an amazing collection of Blues Musicians, Fans and Friends for a weekend of Jams, Open Mics and Headline Performances that will have you coming back time after time” - Paul Dubbelman, music photographer. Photo of a jam session by Paul Dubbleman. Organiser Steve Darrington thanks: The Musicians, Venues, Advertisers and Friends of the Festival, MKL, Apexweb, GH Print Management, Mark Bauer Photography, Swanage Information Centre and all other contributors especially Small Planet Music.